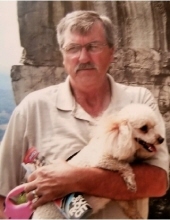 Mr. Larry Dean Nolen, age 65, of Maysville, Kentucky, passed away Sunday morning, March 24, 2019, at Hospice of Hope in Maysville, Kentucky. He was born June 2, 1953, in Lewis County, Kentucky, a son of the late Herman and Ethel Butler Nolen. Larry was of the Pentecostal faith and he enjoyed golfing, traveling, spending time with his family and his dog, Doodles. In addition to his parents, he was preceded in death by one brother, William Nolen, and one sister, Rosemary Nolen. Larry is survived by his wife of 42 years, Donna Savage Nolen; two daughters and one son-in-law, Chasity and Teddy Johnson of Williamsburg, Ohio, Marisa Nolen of Maysville, Kentucky; three grandchildren; three great grandchildren; two brothers, Bob Nolen and Homer Nolen, both of Vanceburg, Kentucky; and three sisters, Betty Buckner and Bonnie Rister, both of Camp Dix, Kentucky, and Ruth Carroll of Vanceburg, Kentucky. He also leaves many other family members and friends who will sadly miss him. Funeral services will be held at 11 a.m. Thursday, March 28, 2019, at Dickerson Funeral Home in Vanceburg, Kentucky, with Brother Tony Corns officiating. Burial will follow in the Lewis County Memory Gardens in Vanceburg, Kentucky. Friends may visit from 10 a.m. to 11 a.m. Thursday, March 28, 2019, at Dickerson Funeral Home, 110 West Second Street, Vanceburg, Kentucky 41179. "Email Address" would like to share the life celebration of Larry Dean Nolen. Click on the "link" to go to share a favorite memory or leave a condolence message for the family.